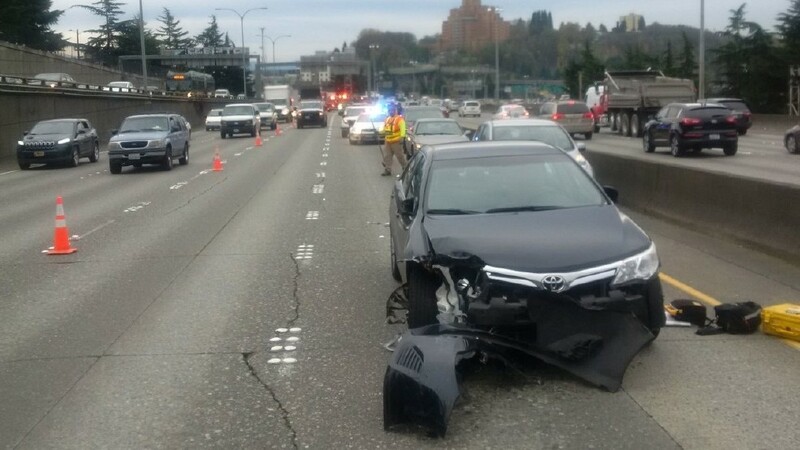 The Washington State Patrol (WSP) is actively searching for a driver who is believed to have caused a fatal four-car crash on State Route 167 in Puyallup Tuesday evening. According to news reports, the crash occurred at approximately 6 p.m. Tuesday on SR 167 near Gratzer Road NE in Puyallup and involved at least four vehicles. One person was reportedly killed, and several others suffered injuries in the collision. Initial accounts of the collision indicate that an unidentified man was driving northbound on SR 167 when a green Saturn Vue unexpected pulled out into the road from a side street. The driver tried to avoid crashing into the Saturn, but lost control of his vehicle and eventually struck a guardrail. The driver of the lead vehicle was ejected from his vehicle and pronounced dead at the scene. First responders reported that he was not wearing a seatbelt at the time. The deceased man’s vehicle also struck a number of other vehicles in the moments following the near-collision with the Saturn. One unidentified passenger suffered serious injuries and was hospitalized. What Are The Legal Issues in a Hit-and-Run Accident? The most serious issue at play in this particular incident is the potentially at-fault driver’s decision to flee the scene, rather than lawfully staying at the scene of the collision. Even though it sounds like there may not have been an actual collision between the green Saturn Vue and any other vehicle, the driver of the Saturn still has the responsibility to remain at the scene and assist any injured motorists. Of course, there is a slight chance that the driver of the Saturn was unaware that he or she had actually caused a collision. If that is indeed the case, then there is a chance that the driver could avoid criminal hit-and-run charges. It is very important, however, that the driver comes forward to the authorities if and when he or she becomes aware of his or her role in the collision. Anyone who is involved in an accident that was caused by another person might benefit from consulting with an experienced car accident lawyer who handles serious injury cases. Our attorneys work on a contingency fee basis, which means there are no up-front costs and you only pay attorney fees after your case has been successfully resolved.